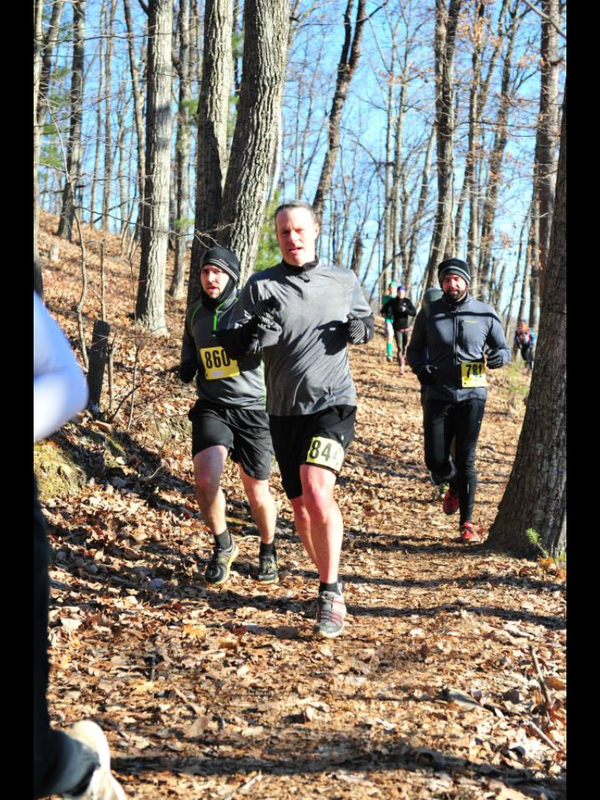 First race of LUS..Lynchburg Ultra Series. 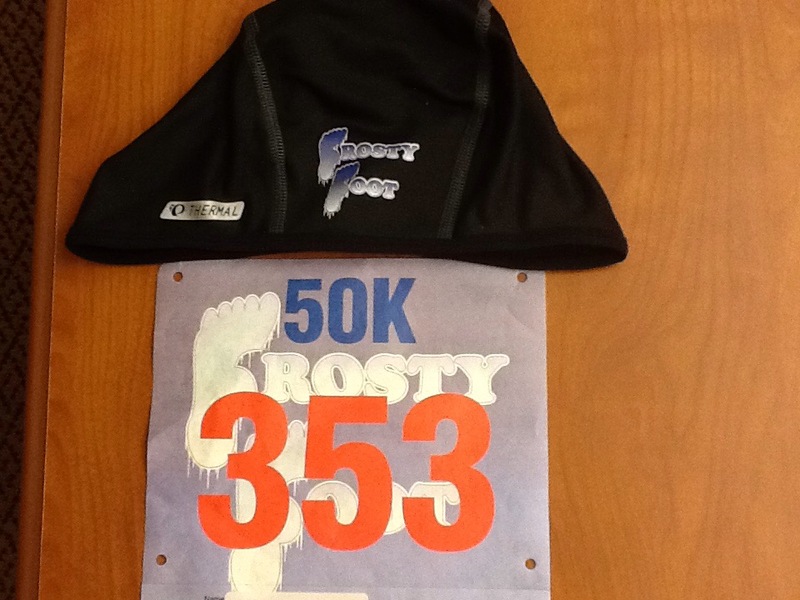 This one is labeled as a 50K++, as it is around 33.2 miles. 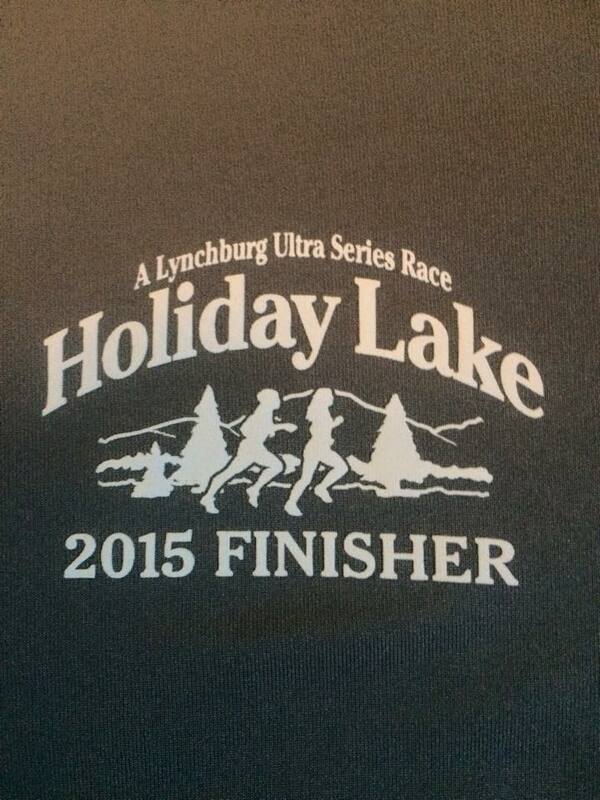 It is held at Holiday Lake State Park, near Appomattox, Va. The race is an out and back, that part of it goes around both sides of the Lake. 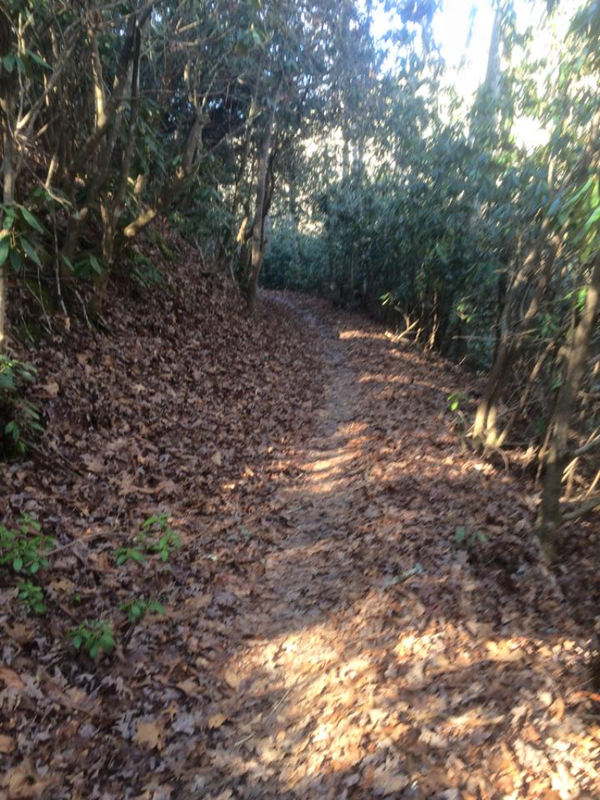 It is light rolling small hills and very run-able for a mountain area trail race. PRE RACE: I will set a goal of 7 hours. It is hard to set a goal, without doing the course before. 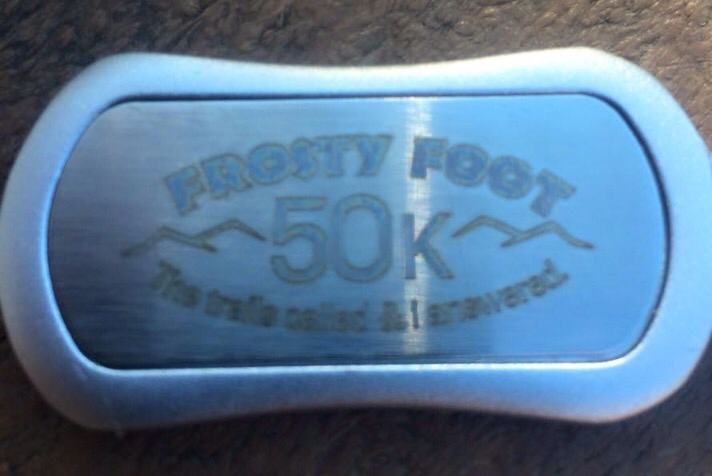 I did a recent 30 mile ultra in 6:37. This one is almost 4 miles longer, so 7 hours may be tough to do. 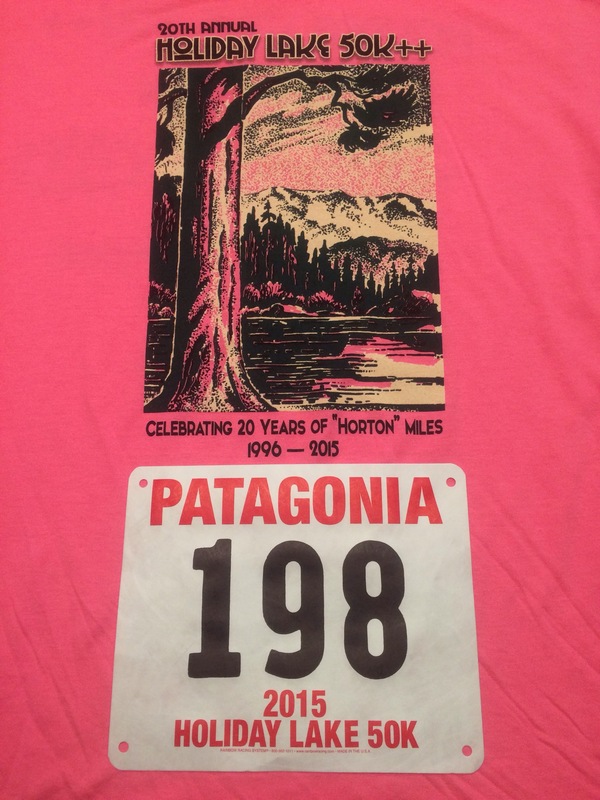 I picked up my bib and shirt yesterday..was disappointed that the shirt is bright pink! It IS on Valentines day, though! Darn Horton! David Horton is the race director. POST RACE: I had been torn all week whether to 1.) stay at the race event, the night before, 2.) get a hotel room close-by, or 3.) get up at 2:30am the morning of (I live 2 hours away in Roanoke). The race options were to stay in a lodge at the park or camp at the park. The advantages to staying at the event the night before, is to not have to get up early and be able to enjoy the Friday night dinner. The cons were that there would be several people sleeping in the same room, which means snoring and a good chance of not getting much sleep. Hotel was too expensive and not close enough. It was too cold to camp. My son had a basketball game Friday night and I am the coach…that was a big factor as well. I finally decided to coach my son’s game and stay at home that night. I would leave out by 3:30 that morning. Luckily, Gina Gilbert invited me to ride with her husband Josh, and 2 other friends, James Decker and David Landes. I gladly accepted the offer. This was a treat, as it made the whole trip a lot more fun. Great people. I had been a little worried about the weather. An arctic wind was supposed to come in and make it very cold and windy. The cold doesn’t usually bother me, but all the talk got in my head. I got a decent nights rest and was up at 2:30..I was at the Gilbert’s house by 3:30. We got to the race around 5:30 and had plenty of time to get ready. The race started at 6:30. 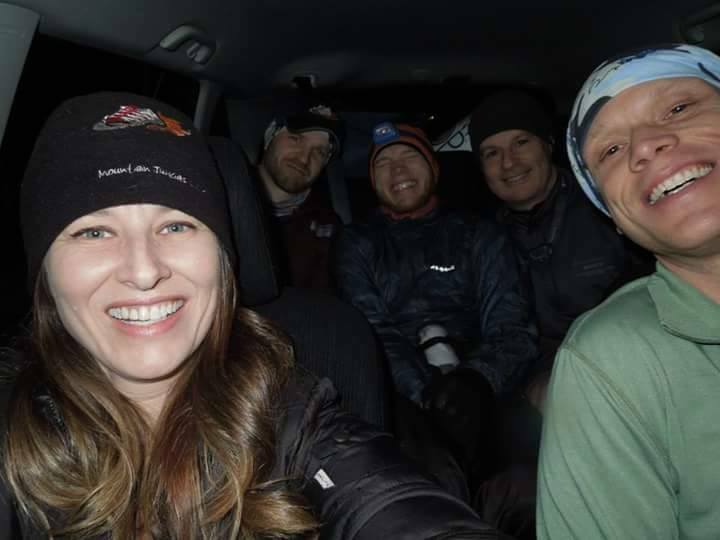 It was dark, so most of us used head lamps until the first aid station at mile 4. Friends at the race were as follows: Gina Gilbert, Josh Gilbert, James Decker, David Landes, Dru Sexton and Caleb Johnson. Others that I am acquaintences with are Matt Prescott, John Robinson and James Phillips. I had a great time and the race went perfect. While it was cold early..around 18 degrees I think, the weather was perfect overall. I left my top layer and headlamp at the first Aid Station with Gina. (Gina did not race, as she has been having some heel issues). I was extremely comfortable the rest of the day with 2 shirt layers and shorts. It started out on a road. After less than a mile we entered the trail. I started in the back..it got really backed up for the first couple of miles, but smooth after that. One lady had a bad fall in mile 2 and had to go the the hopsital for 19 stiches! I felt pretty well all day long. We had a creek crossing pretty early in the race..always nice to get your feet wet in a cold creek, on a cold day! The early part of the race goes around part of the lake. That was probably the best part of the trail. The sunrise through the trees was beautiful. The whole race, I was judging how I was doing compared to the 7 hour goal. I hit the halfway turnaround point (16sh miles) at just under 3 hours. I figured the last half would take close to 4 hours to do, but hoped it would be less than 4 hours. The farther along I got, the more I realized that I shouldn’t have any problems hitting my goal. I never felt miserable or ‘ultra’ tired, but I was getting tired those last 7 miles. I walked more and my running pace was extremely slow. I was passed by a chunky guy around my age at mile 25 or so. I wanted to pass him back. The fact that he was chunky, made me want to pass him back really bad. I finally did around mile 29. When I got to the road with less than a mile to go, I ran pretty hard to make sure he didnt catch me. His small kid and wife were cheering him on at the end, which was a nice moment. I crossed the finish line at 6:33. I was happy with that time. 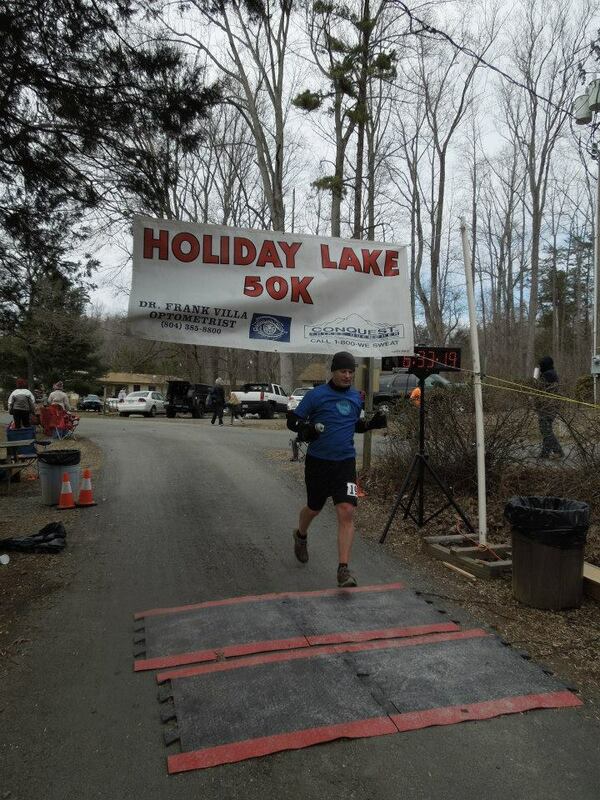 Categories: adventure, outside, runing, Running, Trail, Trail racing, Trail running, Trailrunning, ultramarathon, virginia | Tags: 50k, adventure, david horton, get outside, holiday lake state park, holliday lake 50k, horton miles, outside, running, trail running, trailrunning, ultramarathon, virginia | Permalink. 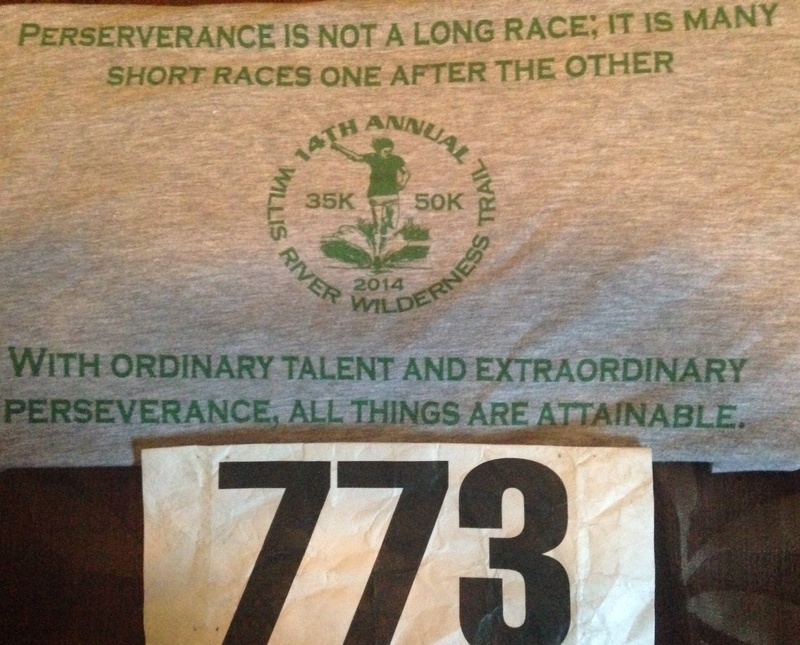 I will be doing this ultramarathon/50k race this Saturday. I had wanted to do it last year, but it was cancelled due to the government shutdown. 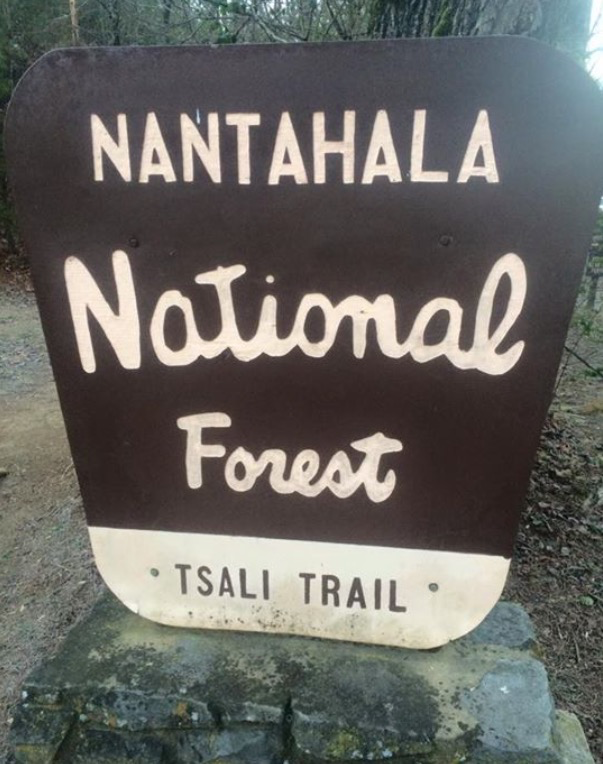 This race is held on the Tsali Trail System, which is a National Forest and on Federal land, so they cancelled it last year. 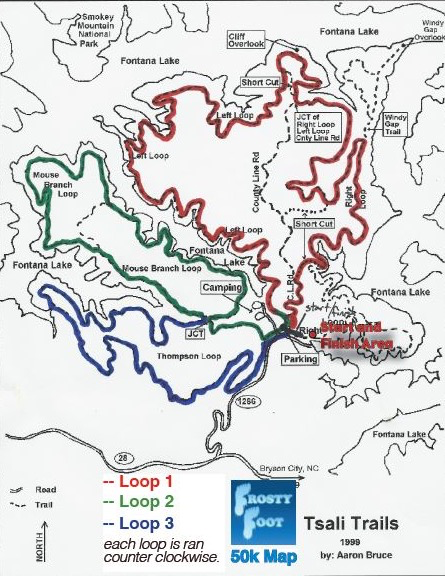 The race has 3 different loops that goes around Fontana Lake, which is in Western NC (Robbinsville area) and just south of the Great Smoky Mountains National Park. I am setting a goal of 6.5 hours. I find it really had to set a goal without running it before. It is roughly 30 miles and does not appear to be much climbing and elevation change. We left Roanoke, VA (home) around noon on Friday. We stopped in Asheville, NC, on the way, and got the packet. Nice bib, beanie and Pear Izumi arm sleeves. Accommodations info: We stayed at the Microtel in Robbinsville. We didn’t realize that the race is in between Bryson City and Robbinsville. The race address is Robbinsville, so we booked a place there. We were disappointed in the Robbinsville Microtel. 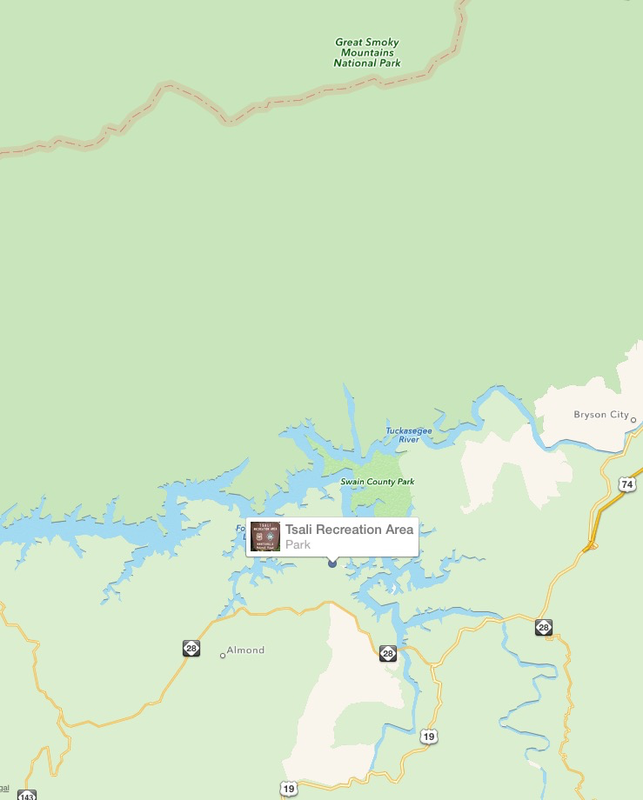 For anyone doing this race, or visiting the area, I recommend the Bryson City Microtel over the Robbinsville one! We switched to the Bryson City one the second night. I got a good nights rest and arrived for the race. 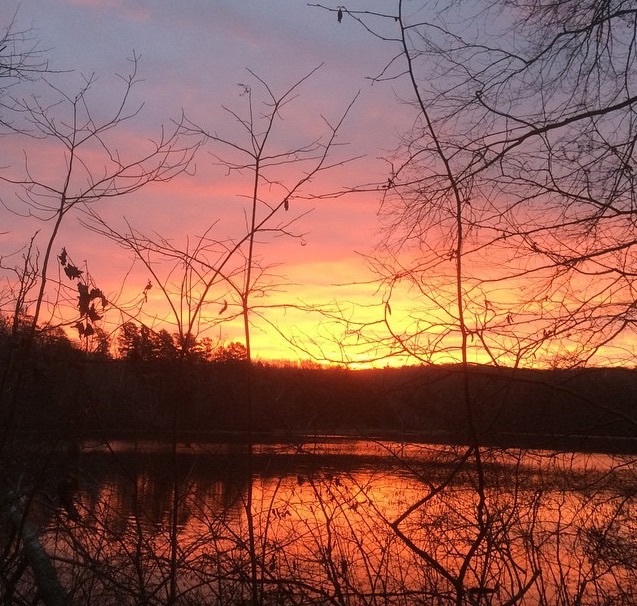 The temperature was in the low 30s, but the forecast called for a high of mid to low 50s. I didn’t want to overdress, but I put 3 layers in , knowing I would have to stash or carry a shirt or two for much of the race. We were off and running around 8:32 or so. As expected, the trails were beautiful. The views of the lake were wonderful. The course was steady rolling hills of wooded trails near the lake. I ran well for 15 miles or so. I did 13 in 2:30. I started wearing down after that and had to hike a lot of the remaining miles. I ran when I could, but was more comfortable hiking, with the energy level I had. I finally got to the third and final aid station at mile 23. 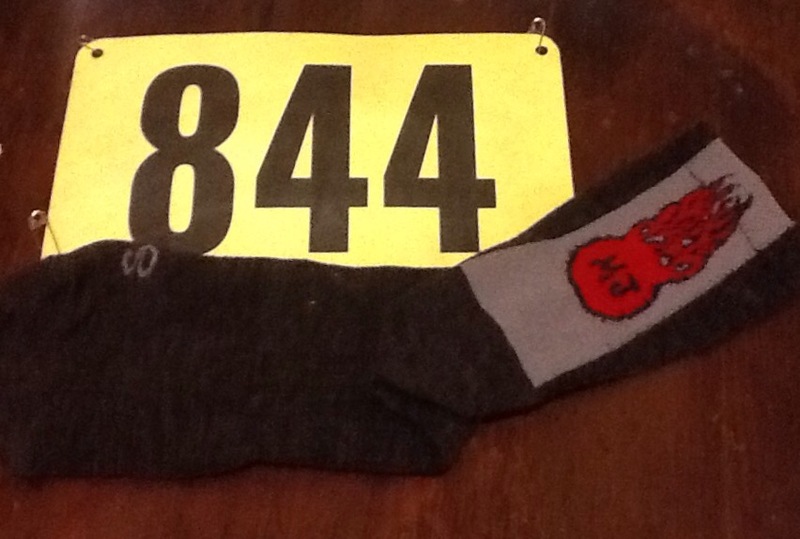 At that last aid station, I noticed that the guy manning the aid station had a ‘Canary in the Cave 25k’ hat on. I told him that I ran that race. He said he was the director of it. He was happy to hear that. I, then, noticed they had a bottle of Brandy and Schapps sitting out with a shot glass. 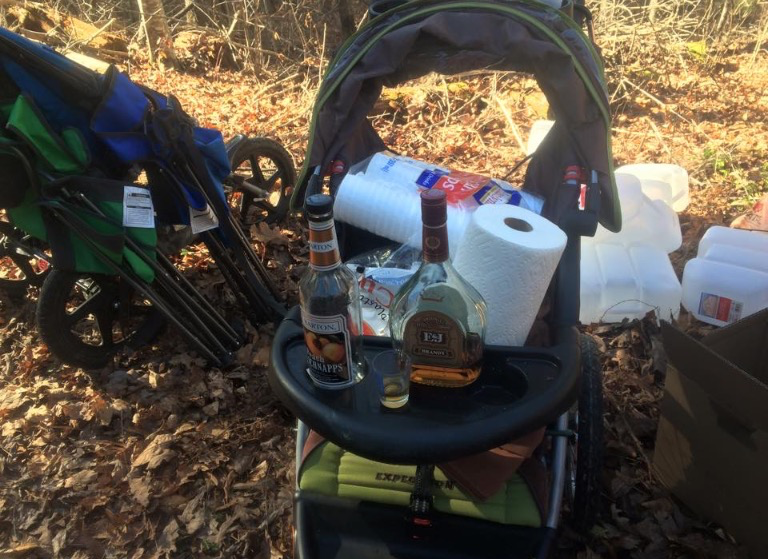 They offered me some gatorade, snacks and a shot of liquor. I thought that was pretty funny…I took a picture of the liquor. I usually don’t drink liquor, but I had to this time..just because. I took a half a shot of brandy. I actually felt better after that aid station, for 3 miles or so. I had 7 plus to go, though. My wife and I had exchanged a few texts. She was going to meet me a couple of miles from the finish line. I ran into the race director with around 2.5 miles left. He was just checking in people. I ran into my wife soon after. She ran/walked with me the rest of the way and carried my extra shirt and water bottle. It was great to haver her support and company the whole trip. I crossed the finish line at 6:37. That was 7 minutes short of my goal. That time isn’t bad, considering my lack of long distance training, the last couple of months. With some decent training, I could easily do this race in under 6, if not 5:30. They gave out a nice keychain as a finisher award. It was a fantastic race and I would do it again. We went out that night. Most of the nicer restaurants were shut down for the off season, but we found a nice place to eat in Waynesville. The Bourbon Barrel Ale. Maria spent the day in Bryson City, while I was racing. She had a great time visiting the shops and talking to the people. I got a feel for the city through her and by visiting it some later that night and the next morning. It is a fantastic little town. It is very outdoors with a lot of personality. I got the feel that it is on the brink of growing a lot more in popularity. It is already a very bustling place in the spring through fall. The night after the race and after eating, we had a beer at Nantahala Brewing. This was a very cool place with great atmosphere. I highly recommend it. A younger crowd (late 20s) of 7 or so guys and girls were at the brewery. They approached me and asked if I did the race. They had seen me stretching in the parking lot, from the stiffness in my quads. They had all done the races, as well. Only one of them had done the 50k. We were sharing stories. They had been at that last aid station, waiting on their friend, when I went through. They remembered me and that I took that shot. They made a big deal out of it. We all laughed about it. 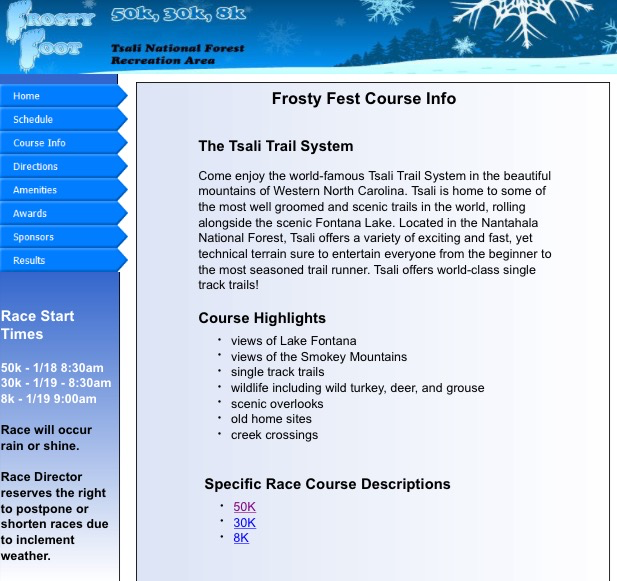 Categories: adventure, north carolina, outside, runing, ultramarathon, Uncategorized | Tags: frosty foot, get outside, great smoky mountains national park, nc, outside, robbinsville, running, trail racing, trail running, tsali, tsali trail, tsalitrailsystem, ultra, ultramarathon, ultramarathons | Permalink. This is my first race of the year and it is the first race of the Mountain Junkies “RNUTS” Roanoke non ultra race series. 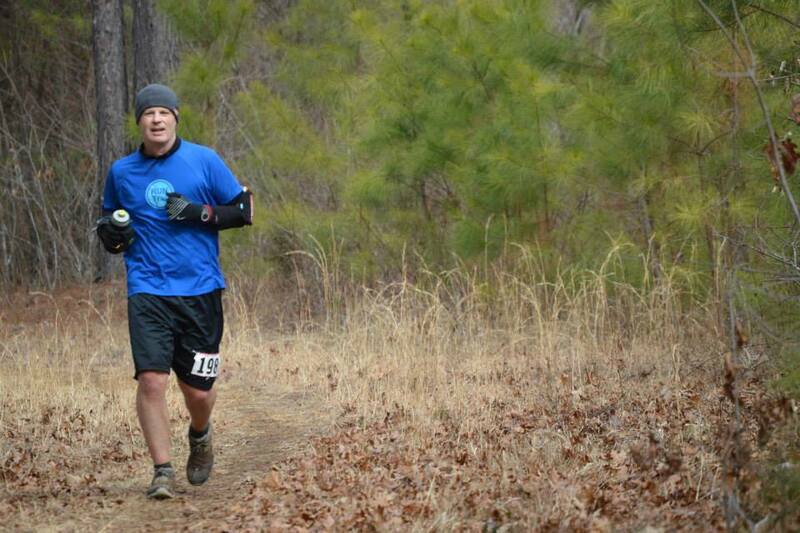 This is a 10K trail race in Roanoke, VA. It is on the Chestnut Ridge Loop Trail, which is on Federal land. http://www.roanokeoutside.com/chestnut-ridge-trail I run this trail more than any other, as it is a nice loop of 5.6 or so, is challenging and is very convenient to where I live. 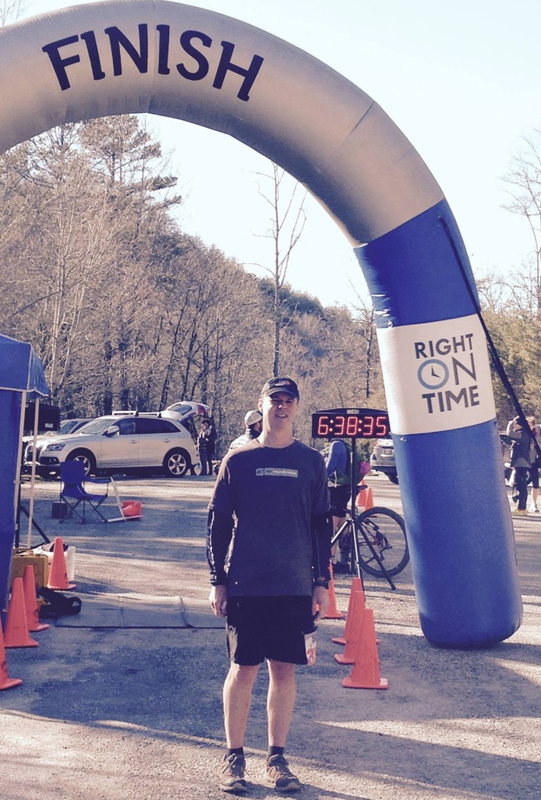 My time for this race last year (2014) was 53:22, 8:41 pace and 9th in my AG (age group). 2013 was a 55:13 time and 17th AG placng. 2012 was a 57:35 time with a 14th AG placing. I have had roughly a 2 minute increase every year, but I don’t see that happening this year. Another kink in all of this, is that they might run it reverse this year (clockwise), which seems to be harder and slower. I feel like I am getting more and more comfortable with just running at a comfortable distance pace, vrs running painfully wide open. I may be slower this year due to that. I do think my endurance has gotten better, due to running trails more this year vrs the Mill Mountain/Blue Ridge Marathon road course. Due to them reversing Frozen Toes this year and the fact that I think I may have already plateaued, my goal is sub 53 minutes. I do not expect to hit the goal, but it is something to aim for. I would not be surprised at all if I was in the 54 or 55 minute range. No shirt for this race! You get a choice of socks or a buff. I will do a post race report soon. It was around 15 degrees this morning for the race. The trails were frozen hard, so no worries about sliding in the mud, like we have been. I enjoy running in the cold, so that was helpful. I decided to run a good pace at the beginning, but not as fast as I have in years past. The fast start in years past, had me breathing way too hard after a mile or two. I think the slower start paid off. Doug Falls, Eian Cork and I ran together most of the way. This made the race more fun. I checked my watch around halfway and was surprised that it read around 25 minutes. I walked a little on the mile four to five hill, but I felt that was necessary. I felt strong the whole way and finished at 52:40! Well below my goal. I really exceeded my expectations. 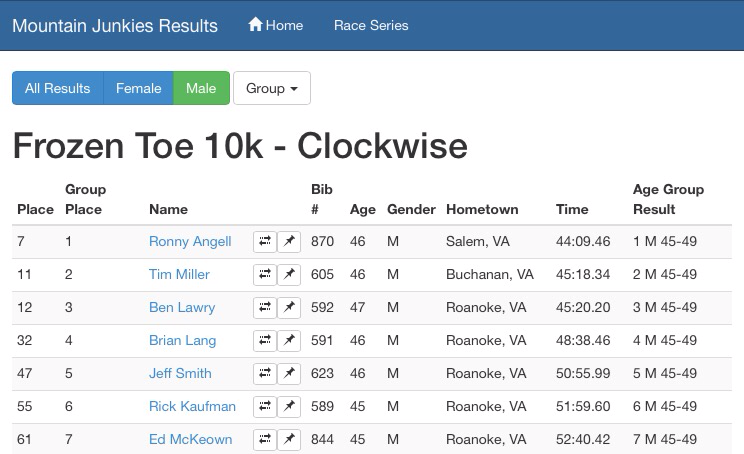 I was 7th in my age group and 61st overall, out of 250, in the most competitive Mountain Junkie race of the year. 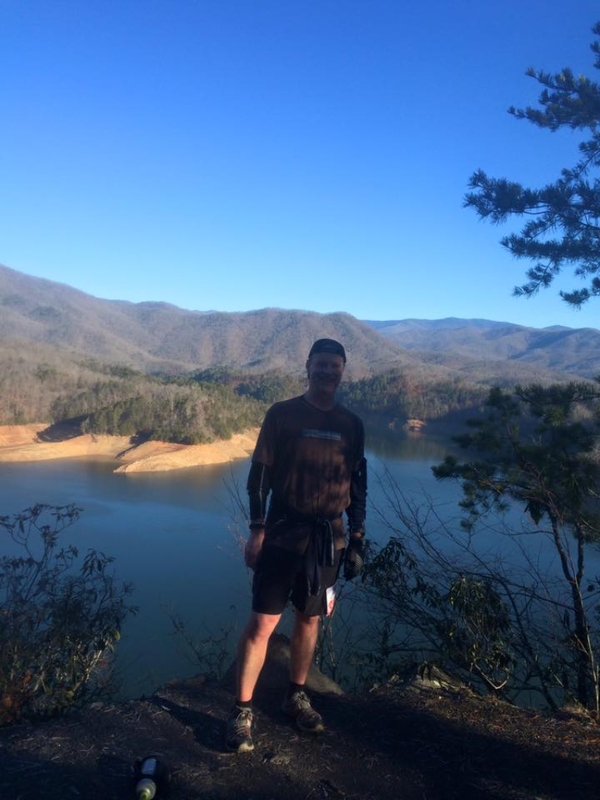 Categories: adventure, outside, runing, ultramarathon, virginia | Tags: adventure, chestnut ridge trail, frozen toe, montrail, mountain junkies, non ultra, nonultra, RNUTS, roanoke, roanoke outside, trail racing, trail running | Permalink. Joseph is a 9 year old kid that I have been friends with for several years. His dad died several years ago, due to cancer. I support him, when needed. He is a great kid! He is very into sports in general and has developed a fondness for running. 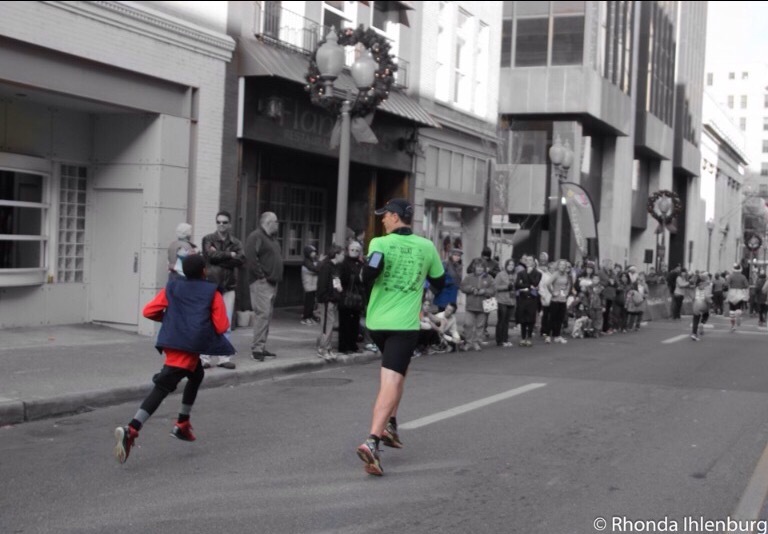 You don’t see many kids his age that are willing to run even close to a 5k distance. 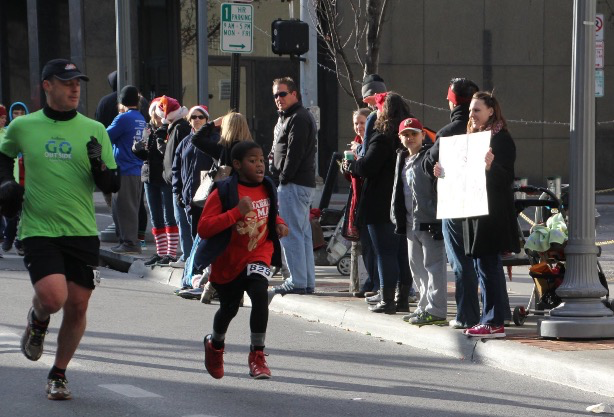 He has recently joined his elementary school’s running club, so he was practiced up to over 2 miles. We had been talking about him doing a 5K soon. 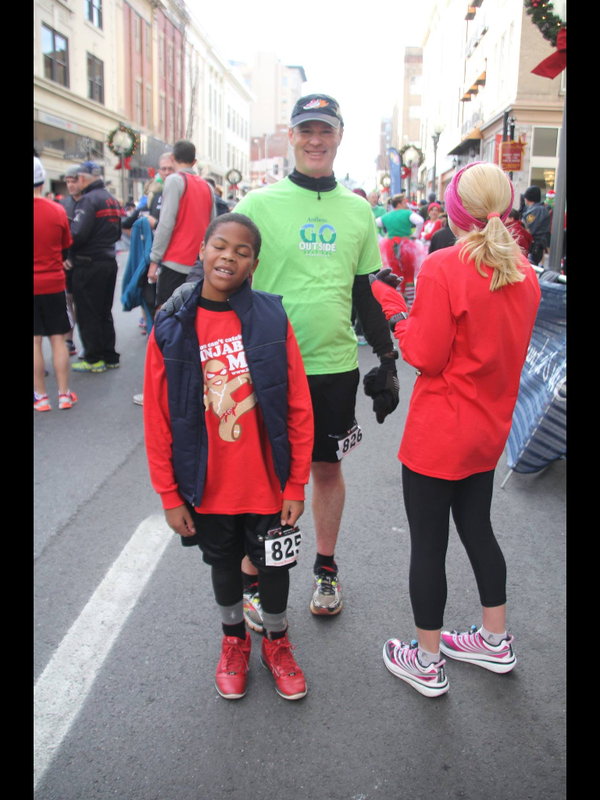 The Jingle Bell 5k was coming up in downtown Roanoke, just before Christmas. The Jingle Bell is a fund raiser for arthritis. He has a relative that had arthritis issues, so it was a no brainer. Race day was cold and festive! I was very proud of how he performed. I paced him the whole way and cheered him on. He slowed down at mile 1.5 or so with stomach cramps and walked some. He ran hard all the way back for a 34 min plus time. He pushed very hard at the end. We were all excited for him. It was a great experience. A group of 12 of us participated in the Willis River 35 and 50K, near Farmville, VA. Farmville, is roughly 2.5 hours from Roanoke, on the eastern side of Lynchburg. 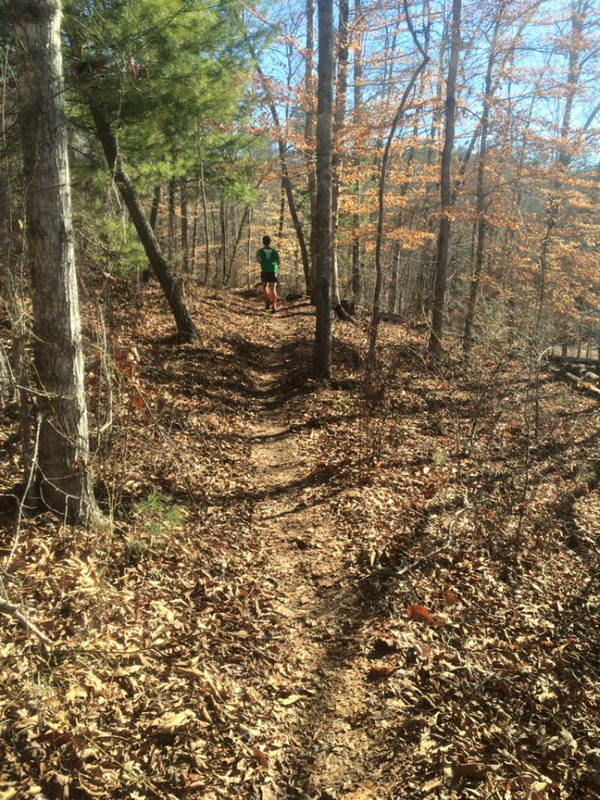 The race is a trail race in the Bear Creek State Park. Friends that participated with me, are as follows: Gina Gilbert, David Landes, Carla Cross, James Decker, Robert Drinkwater, Helen MacDermott, Sean Cooper, Dru Sexton, Josh Gilbert, Jon Robinson, Matt Prescott and Emily Morris. Sara Martin had planned to race with us, but an injury kept her out. This was an incredible adventure and experience. I knew days ahead, that the forecast was calling for rain on race day. I did not think much of it, as the temperature was supposed to be in the 50s. I had recently ran a rainy, 39 degree trail half recently and fared well. I got up at 3 am and met Gina, Josh and some others to caravan to the race. We got there and realized that the ground was completely saturated with rain. People were parking their car, upon arrival and getting stuck in the grassy field. I was a little concerned with how to dress, as I knew more rain was coming and it seemed cold with no relief in sight. I went with the MJ Rnuts series black base layer with a technical ss shirt on top of that (the 2012 CtC shirt). I wore gloves and shorts. I never got cold..what I wore was perfect. 8am start…we were off around 5 minutes after. 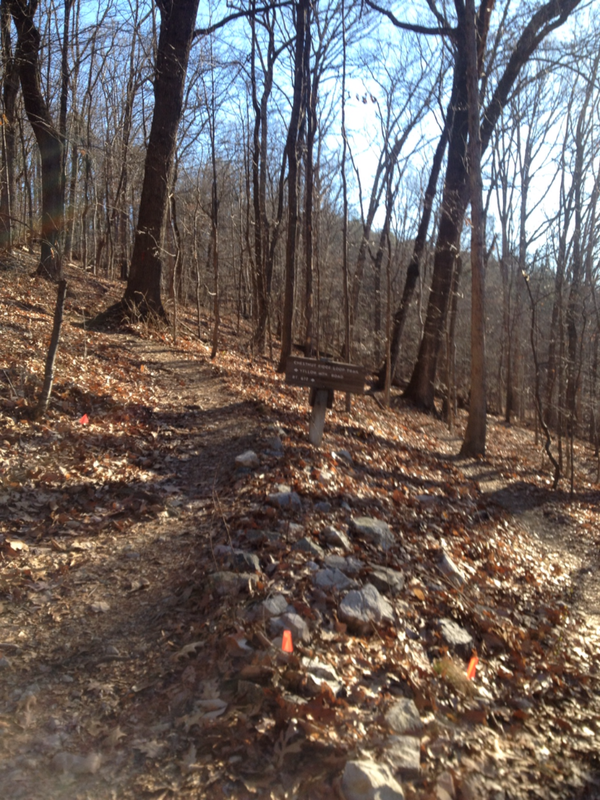 The race is a primitive, wooded trail Most or all of the trails are not very worn down. Some parts of the trail seem like you are just running through random woods. You go 10 miles to an aid station on a road, then turn around to do the same 10 miles the other way. That is the 35k race. 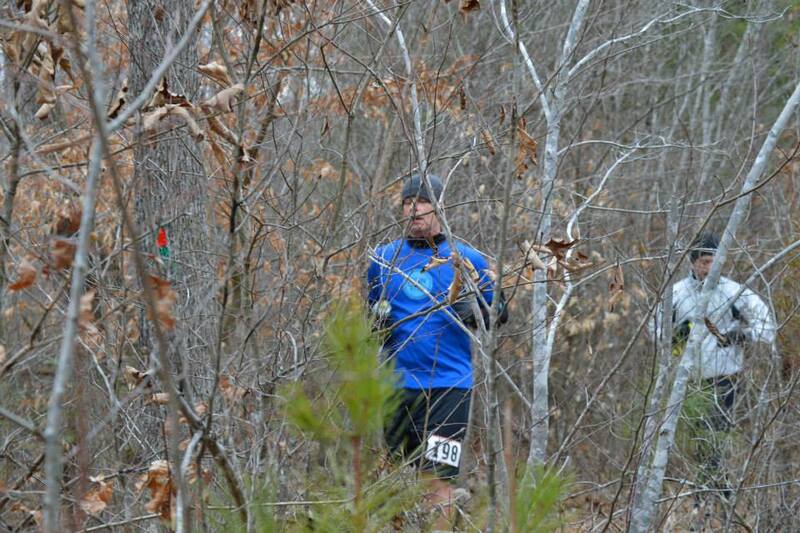 You then have a choice to go the opposite way and do 5 miles, then turn around and come back, for the 50K. There are aid stations approximately every 5 miles. The trail is very hard to follow! You are following white hash marks, but you are also following white ribbons. At times, there are white ribbons telling you to make a turn. You can easily miss a turn, if you are looking ahead at other white hash marks and not looking for ribbons. There is no shame in missing a turn on this race. The trails were water filled and extremely muddy. Your feet sank into the mud and water. The trails were like creeks with running or standing water in them. You had no choice but to run in the water. It was a constant slop, slop, splash, slop.. The mud was so bad that my feet were constantly sliding off the mud and one foot would bang into the other leg. It started getting dark about 2 miles in and started raining soon after. The steady rain lasted the majority of the rest of the race. Lightning and thunder happened, as well. Where there are not normally creeks, there were creeks..everywhere. These were big enough that you could not hardly jump over and had to step into the water. There were some normal creeks that you had to cross. There were big rivers that you had to cross. On a normal day the creeks would be really low and the rivers not a big deal. This day was not ordinary…everything was way up. We had to cross several rivers that were very high with very strong current. They were 10 yards or so wide..some may have been wider. I heard reports of people getting swept by the river current and having to get helped out of the water. Through all the conditions, I felt pretty good. I never got cold like some of the others, even though I was drenched. I tried to start slow, but still passed some friends the first few miles. Carla Cross and I ran together for a small portion. I saw her for the last time at the 10 mile aid station. I lost track of Gina, David and Helen before the 10 mile mark. I turned around at the 10 mile mark and kept expecting to see them behind me. Several minutes later, I still had not seen them. I was thinking “What the heck is going on? Where are they? Did I miss them?”. Finally, 2 miles from the turn around I ran into them. They were not sure where they were. I advised that they had 2 miles to go, just to get to the 10 mile turn around. They were pretty disgusted. They had missed a turn and wasted a solid hour or so. Helen and Sean decided to turn around at that point and take a DNF. David and Gina completed the 35K, but did not finish in enough time to be able to finish the 50K. I really hated that for David and Gina. 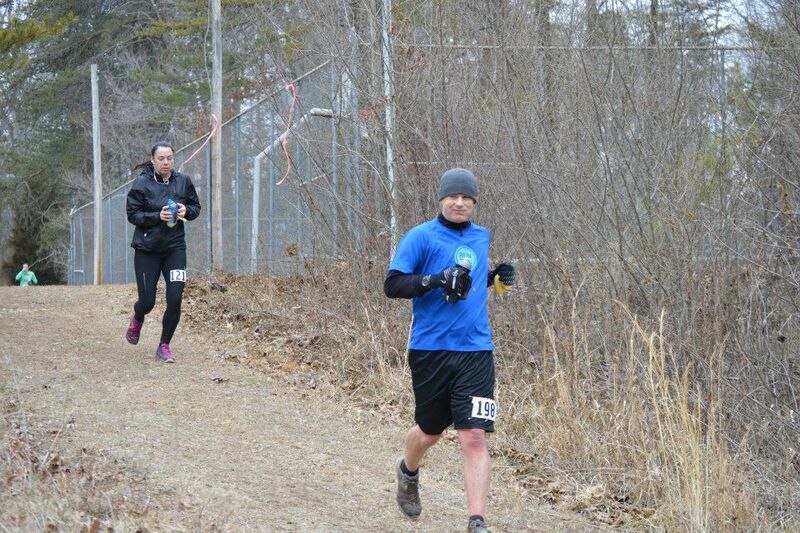 This was David’s first 50K and Gina had never went past the 35K on this race. They both really wanted to finish the 50K, so it was disappointing to have the missed turn mess them up. They were in a group and got detoured by someone else. I noticed Dru didn’t look good at the 10 mile turnaround. She ended up being cold (and recovering from a cold)..she dropped out. Robert was running with her and made sure she was taken care of. I was amazed by the conditions and my excitement about it all. I kept feeling like I was in Navy Seal training. Josh met me at mile 19 and ran the last mile with me to the 35k finish. Everyone was beat down by the mud, rain, water, river crossings, cold, etc. After I finished the 35K finish line at 4:09, Josh and the race director assumed and asked if I was done. I said to let me think about it for a minute. I asked them if Robert had stopped. Josh had already said that Decker stopped at the 35K. He said Matt Prescott wanted to stop, but the director told him he had a good chance to win the 50k, if he went on. John Robinson went on for the 50k, but was having a knee issue. At first, I thought that if Robert went on to do the 50K then I would. If he only did the 35K, then that would give me an excuse to stop at the 35K. I was tired, but I actually felt pretty decent. After I found out that Robert stopped at the 35K, Josh and I talked. He suggested that I could outdo Robert if I completed the 50K. That made up my mind. I told him and the director that I was going on. That last 10 was kind of lonely, as there was only 15 of us that went on. We were pretty spread out. The first mile or so was easy, as it was a very popular, well used trail. It soon got back to the tough woods, the swamps and rivers. The rivers got worse on that stretch, as it had been raining more steady. I used a big stick to help me wade through the rivers. I just kept trudging on..I had to hike a lot. My legs were too tired to run, unless it was flat or downhill. I met Matt and then John, as they were heading back to the finish. I assumed they were first and second place and I was happy for them. I finally reached the 5 mile aid station and turned around. I “ran” with a guy from Richmond for a while. He was in his 50s and part of the Richmond Road Runners Club. He has done this race several times and has done Promise Land 8 or 9 times. He passed me and put a little distance between us those last 3 miles. With around 1 mile to go, David Landes was waiting on me, near a river crossing. I was glad to see him. He ran that last mile with me. I was also happy to see that Gina, Dru, and Sean were waiting at the finish line for me..that meant a lot. I was honored that they waited, even though I asked Josh (at end of 35K) that no one wait on me. I finished the race at 7:04, so it took almost 3 hours to do that last 10, between me being tired and the conditions and terrain. I got several compliments for finishing the race in those conditions. I would say that was my best race yet, as far as the adventure aspect of it. I had a blast. I had felt good and strong all day…that is a great feeling. I would definitely do this race again. The conditions would not normally be like this, but I enjoyed it. The conditions added a lot to this race. There are no big climbs…relatively flat, runnable terrain. I highly recommend this as a first ultra race. 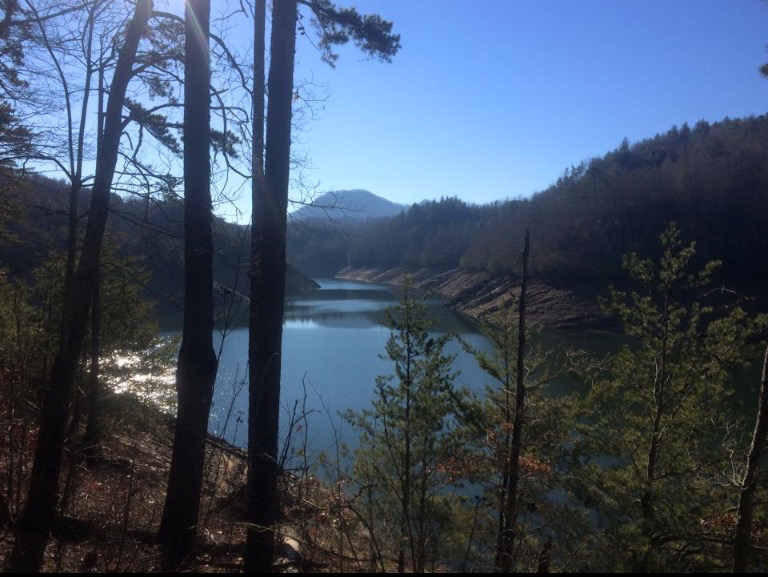 Categories: adventure, outside, runing, ultramarathon, virginia | Tags: adventure, bear creek state park, get outside, outdoors, outside, running, trailracing, ultra, ultramarathon, ultramarathons, virginia | Permalink.